I offer tea ceremony experiences very close to the Golden Pavilion (Kinkakuji), one of the World Cultural Heritage Sites in Kyoto! We got Certificate of Excellence 2017 for Trip Advisor. We were published in Kyoto news paper, Tokyo news paper, TV Asahi in Japan, Canada, and many medias for sightseeing or art. And we are only one English tea ceremony house who received the handwriting sign from Urasenke, one of the biggest tea school in Japan. We promise you that our host is the tea master who has the certain qualification for Urasenke tea ceremony. 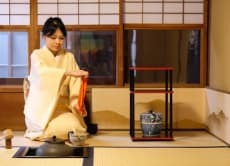 The Japanese tea ceremony is said to be a "comprehensive art including the art of the spiritual exchange between the host and the guests, tea utensils, flower arrangement, calligraphy, spiritual discipline and more". It is one of the traditional criteria for beauty and elegance in Japan. I welcome the guests from all over the world! Let's enjoy this moment together and have a bowl of tea! 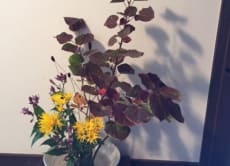 Enjoy Ikebana (Japanese flower arrangement) in Kyoto! A peaceful, quiet moment. I enjoyed it a lot. It was very informative and even my youngest child stayed engaged. We enjoyed the sweets and drinking the tea we had made. It is close to the Golden Temple so can be combined in 1 trip. The teacher taught us the way to enjoy tea ceremony patiently. Definitely worth the price. Very authentic experience for a very reasonable price. I learnt a lot about Japanese tea ceremony and Kimono dressing. My 9yo daughter enjoyed it very much! Our host Rie is patient, knowledgable, speaks good English and is very attentive to our needs. Will definitely come back again and recommend to friends & family.